October is a great time of year, kids love Halloween and Yoga. Leaves change, the weather gets cooler, and there’s Halloween! 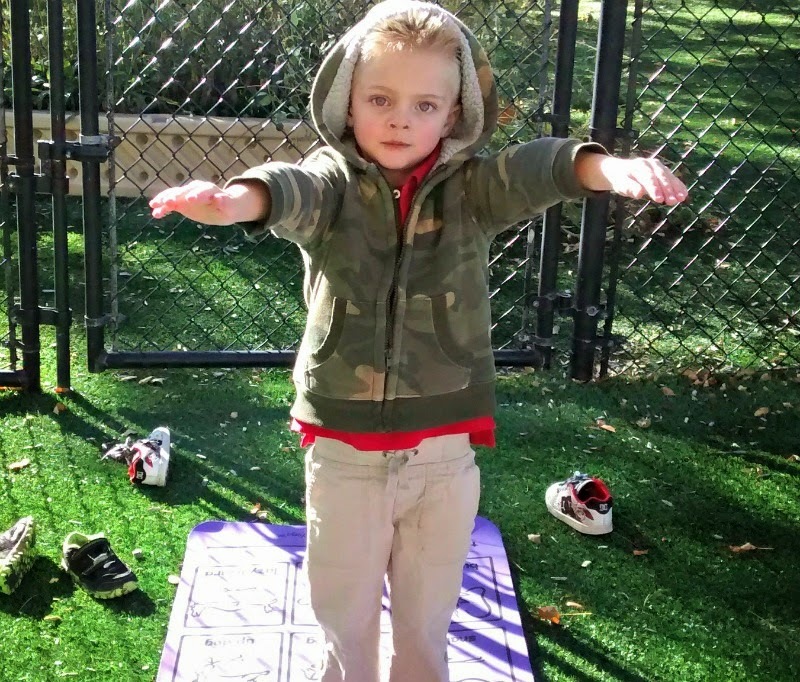 This time of year is a great time to use your kids imagination during their yoga class. 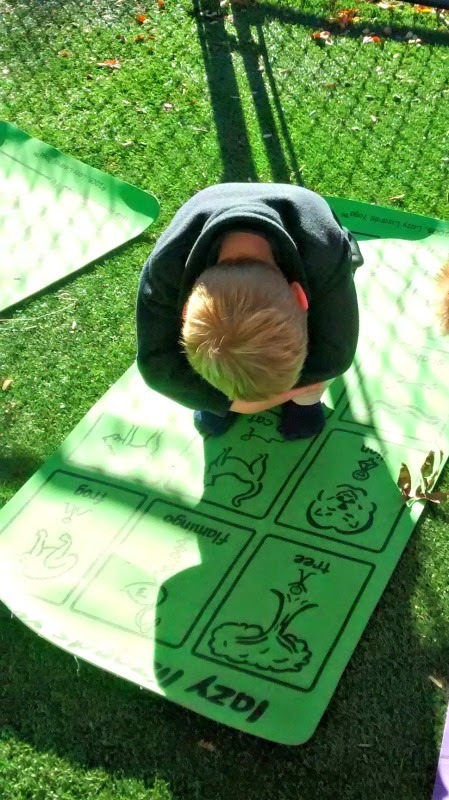 Yoga for kids has a lot to do with imagination, pretending to be cats, dogs, and frogs. Why not Halloween characters! This week at my preschool yoga class we had a discussed what every body was going to be for Halloween. Of course all the kids knew what they wanted to be. After talking about what we were going to be, everyone got very excited. We took a time out and rested in rock pose. A great way to calm the kids after such an exciting activity! Pirate Pose, using Lazy Lizards Yoga Mats as a telescope! After resting and giving our brains and bodies a break, we stood in mountain pose, and waited patiently to make up our own Halloween Yoga Poses. No right or wrong just using our imaginations. This always puts a smile on my face, everybody is so different, and our brains all work differently and this is a way to see how we think differently. We came up with Spider Pose, Pumpkin Pose, Frankenstein Pose, Ghost Pose, just to name a few. 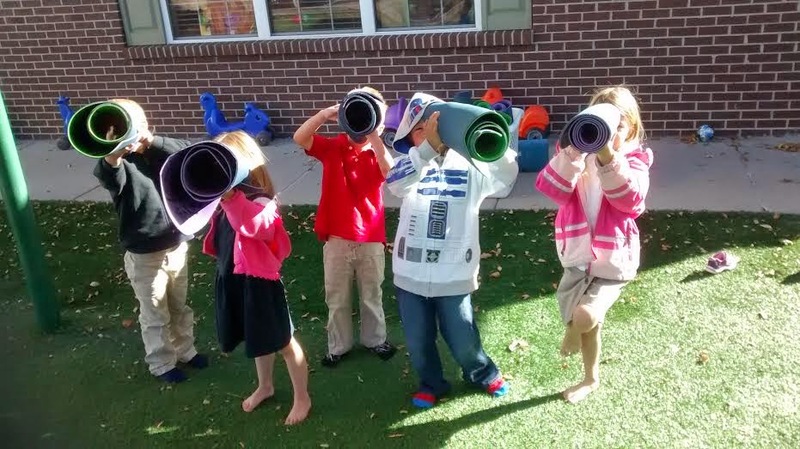 Somebody even came up with Pirates Pose, and rolled up their Lazy Lizards Yoga Mat for their telescope. 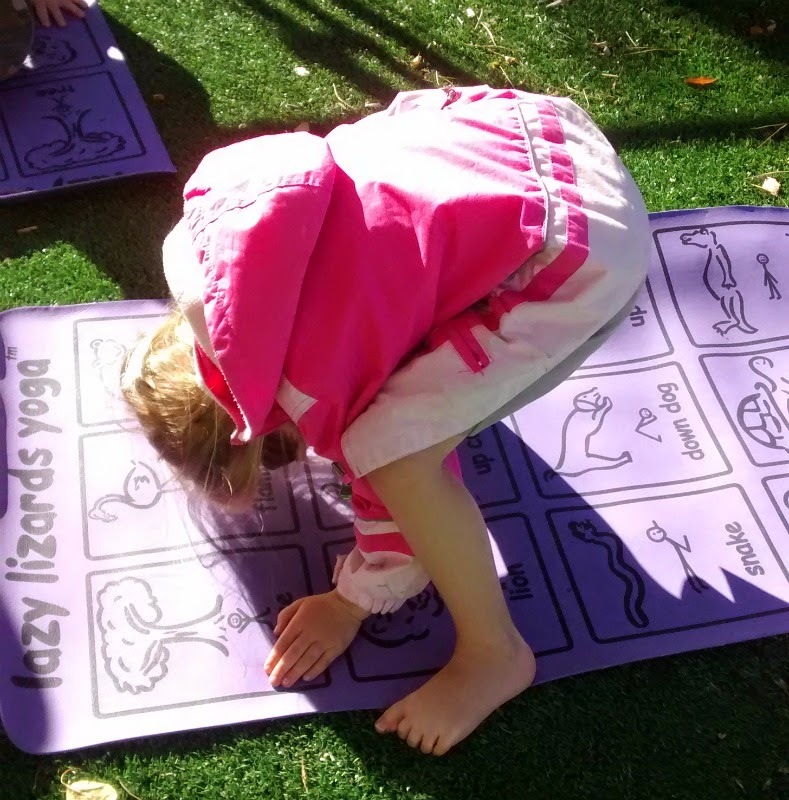 Encourage your kids to use their imaginations to watch them grow and have fun with yoga! Here’s some examples of what kind of yoga poses the kids made up today. Filed under Holiday Yoga, Kids Yoga, Kids Yoga Poses.